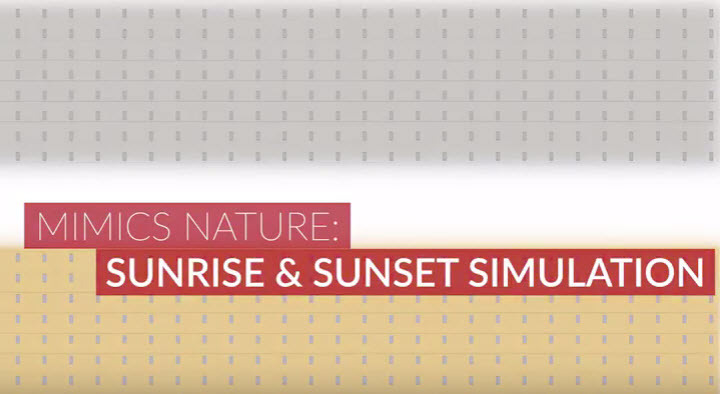 Mimics nature- sunrise and sunset! What Makes this HPS Grow Light Special? DEva is a completely integrated, plug n’ play, no-compromise plant lighting solution. Our state-of-the-art, low-frequency square wave electronic ballast is built right into the reflector. The reflector houses an Ushio double-ended 1000W HPS lamp—which comes included. All you have to do is plug it in and start growing. When cultivating crops indoors in controlled growing environments, the quality and intensity of the PAR that you deliver to your plants largely determines both the medicinal and nutritional quality and quantity of the harvest. These precious photons form the “fuel” in the engine of your grow room. DEva delives an affordable and scalable plant lighting solution that’s attainable to both small-scale hobby hydroponics growers and large-scale, commercial-grade medical and licensed installations. Our state-of-the-art, low-frequency square wave electronic ballast is built right into the reflector. The reflector houses an Ushio double-ended 1000W HPS lamp—which comes included. All you have to do is plug it in and start growing. Arguably it’s not just DEva’s performance that sets it apart from the competition but the quality of its components. We designed and sourced everything from the ground-up, from the avionic-grade capacitors (rated for thirty-six years of continuous operation) to the 97% reflective German aluminum in the reflector. The low-frequency square wave produced by the DEva electronic ballast perfectly drives the Ushio DE-HPS lamp with virtually no electromagnetic interference (EMI) or acoustic resonance issues that plague so many other electronic ballasts. 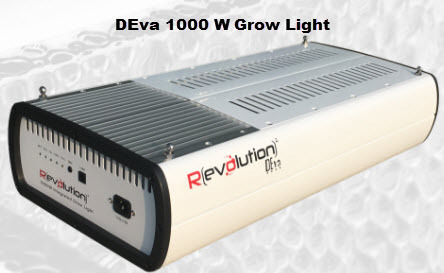 $450 per light with free shipping in the contiguous U.S. for the DEva Grow Lights. RLC-1 SMART LIGHTING CONTROLLER- The World's Smallest Grow Light Controller! Raw power and lighting intensity is nothing without smart control. 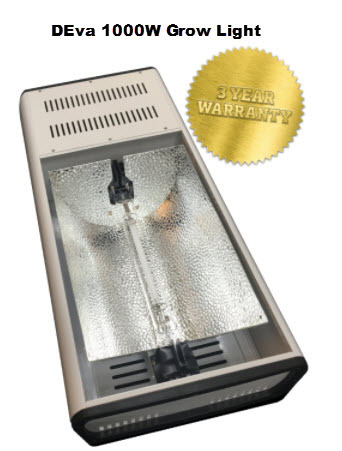 That’s why we concurrently developed the world’s smartest grow light controller—the RLC-1. 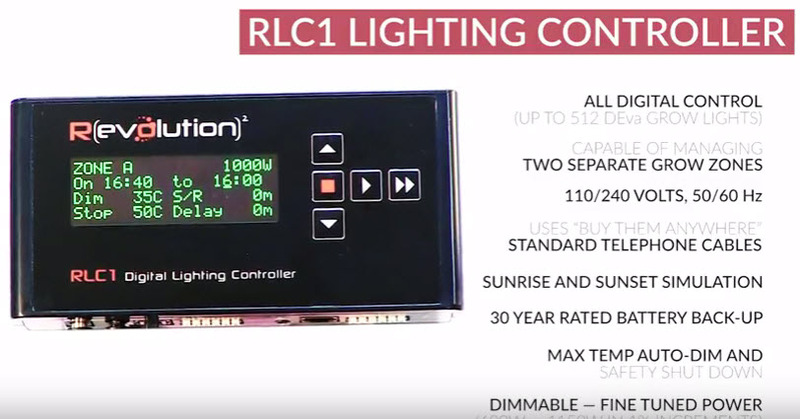 While the DEva can work with your existing lighting controller, the RLC-1 can simulate sunrise and sunset, gradually warming up your plants just as Mother Nature does. It can also capture data on incoming power, lamp life, voltage changes and brown-outs / black-outs thanks to a built-in clock and 30-year rated battery back-up. Crucially, the RLC-1 can even sense when temperatures in your indoor garden are too high and can automatically respond by dimming your lamps thereby mitigating environmental stress and crop damage. Output power can be fine-tuned from 600W up to 1150W in 1% increments. But what about plugging in the RLC1 in Australia? UK? Japan? Russia? 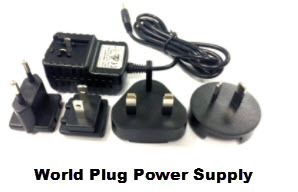 With our World Plug power supply you just snap in the plugset that fits your local outlets and off you go. No matter where you are, we’ve got you covered. Right out of the box. Call 760.597.9298 for a special offer. Terms and conitions apply.